Come out and support our finalists as they compete in the 4th annual Three Minute Thesis on Oct. 30. 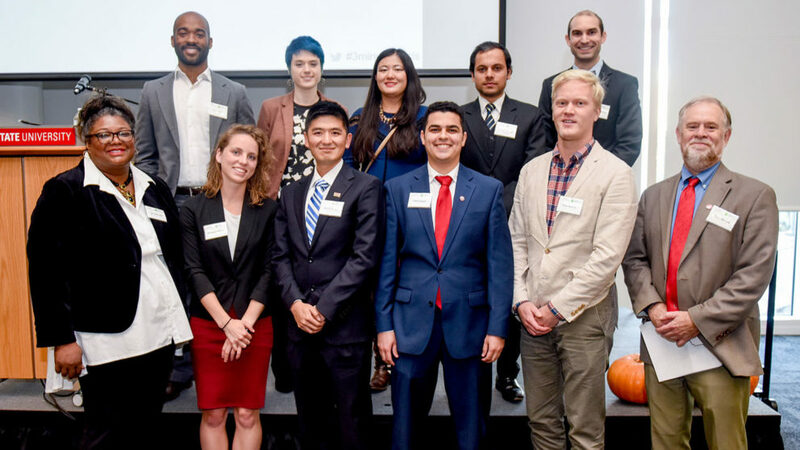 Ten graduate students representing four NC State colleges will compete for cash prizes as they share their research project in just three minutes. Three Minute Thesis, an international competition, challenges graduate students to share their research in three minutes with one slide. The finalists were chosen during preliminary rounds held Sept. 25-27, and the event is part of NC State’s Red and White Week leading up to homecoming. The 3MT finals will be held in the Hunt Library’s Duke Energy Center, 3-5 p.m. on Tuesday, with a reception to follow for the finalists and their guests. Colleagues and students are encouraged to turn out to support the finalists. Audience members will vote for a “People’s Choice” winner, while a panel of judges will choose first and second place winners. The 10 finalists, along with their student status and degree programs, are listed below by college. Judges who will choose the top two winners are Melissa Buscher, director of global communications and marketing for LORD CORP; Jeff Pfeifer, vice president, chief product officer, North America Lexis Nexis; Marie Williams, associate vice chancellor for human resources, NC State University; and John Fraley, representative, North Carolina General Assembly. The Three Minute Thesis is free and open to the public. 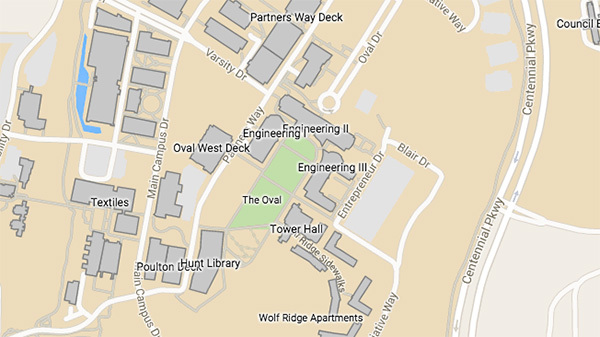 Locate the Hunt Library and nearby parking on this map. Three Minute Thesis is an academic research communication competition developed by the University of Queensland (UQ), Australia. The 3MT finals at NC State are made possible by gifts to the Graduate School Enhancement Fund.